The North Carolina Head Start Association (NCHSA) represents 59 federally funded Head Start Grantees across North Carolina. This includes a Tribal (Cherokee) and Migrant programs, as well as community action, private non-profit, county government, board of education and single purpose agencies. 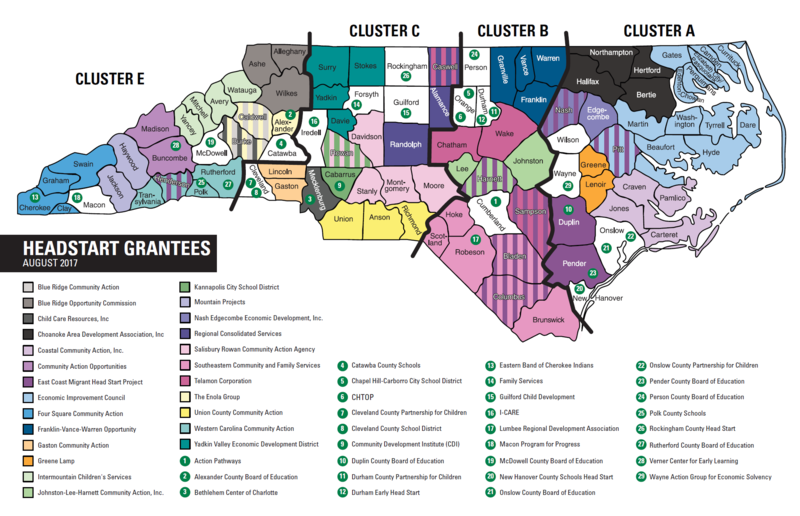 See our NC map of Head Start Clusters. Copyright © 2017, North Carolina Head Start Association. All Rights Reserved.